Have empathy for elephants and rally against extinction in Washington, District of Columbia beginning noon this Saturday ― tomorrow ― September 24, at the Embassy of China in Washington, D.C., 3505 International Plaza NW. This event is part of a global movement to save elephants and fellow keystone species from extinction. It is a family-friendly, low-key and peaceful demonstration. Elephants DC will begin assembling before the Chinese Embassy onsite at 11:30 a.m. The march will be followed by a low-key rally at the center of International Plaza at which we will call for the enactment of a total and complete ivory sales ban worldwide now. Bring thought-provoking posters, banners, a drum if you have one and dress in decorative ele gear if possible. Dogs are also welcome. We will have plenty of placards to share with participants on site. Following a march around the International Plaza, we will call for the enactment of a total and complete ivory sales ban worldwide now to save elephants from extinction. We will advocate for the end of all wild-caught elephant trade to China and elsewhere out-of-Africa. We will speak up for the cessation of all cruelty against elephants and fellow endangered species. We will demand the full restoration of Appendix I standing for all African elephants at the onset of the CITES convention in South Africa as world leaders gather to conduct a new trade agreement impacting endangered, threatened and vulernable species worldwide. Join us! All are welcome. Family friendly. Dog friendly. Meet up early for coffee at Bread Furst: 4434 Connecticut Ave NW in Washington, District of Columbia. Questions? Send an email to jensamuel@elephantsdc.org or call 484-868-8506. For more, visit www.elephantsdc.org. Not in DC? Check out the Global March for Elephants and Rhinos for an event near you — 145 cities are uniting for endangered species worldwide this Saturday. Two years after New Jersey passed the first comprehensive ban of ivory sales in the nation, New Jersey lawmakers are uniting with international representatives and citizens at the New Jersey Ivory Crush on World Elephant Day, August 12, 2016. Learn more about the speakers below! 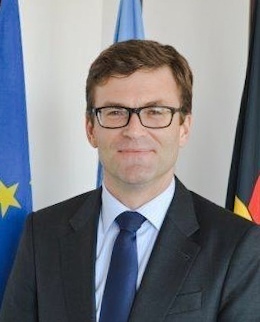 Ambassador Heiko Thoms has been the Deputy Permanent Representative of Germany to the United Nations since July 2013. He served in Cairo, Teheran, Brussels (Permanent Representation to the EU) and Berlin. Before being appointed as Deputy Permanent Representative to the UN, he was the German Foreign Minister’s Chief of Staff. He currently serves as Vice-President of the Executive Board of UN Women. 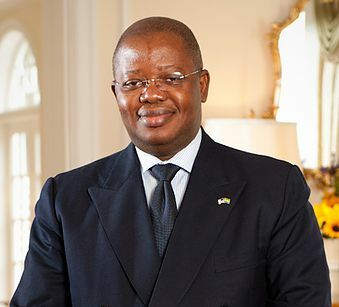 He also chairs the Group of Friends of UN Police and the Group of Friends against Illicit Wildlife Trafficking. 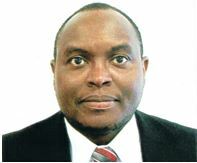 David Gacheru serves as the Deputy Chief of Mission for the Kenya Embassy in Washington, DC. Kenya is home to one of the most beloved — and threatened — elephant populations in Africa. The Kenyan government has shown a strong commitment to strengthening protections for elephants and fighting the ivory trade. In April 2016, Kenya held a record-breaking ivory burn, destroying 105 kg of confiscated ivory. 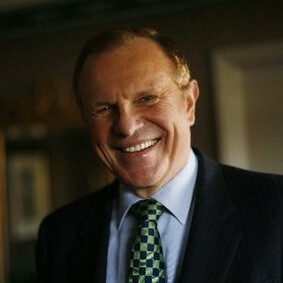 Without a doubt one of New Jersey’s most senior and respected lawmakers, Senator Raymond J. Lesniak has a long and distinguished career in improving lives for New Jersey residents. A long-time animal rights advocate and hero in the fight against extinction, Senator Lesniak was the champion behind New Jersey’s ivory sales ban in 2014, and led New Jersey to ban the import and sales of hunting “trophies” of 9 endangered species in 2016. New Jersey lawmaker Raj Mukherji has brought a vibrant energy and keen intelligence to the New Jersey political scene and the plight to save elephants from extinction. 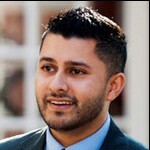 Assemblyman Raj Mukherji, a former software CEO and healthcare entrepreneur, Deputy Mayor of Jersey City, and Sergeant in the Marine Corps Reserve, authored the measure to ban ivory sales in the Assembly and campaigned eloquently for its passage until the end. Since then, Assemblyman Mukherji has spoken out on numerous occasions on behalf of elephants and ending the ivory trade worldwide. State Representative Madeleine Dean was elected in 2012 to represent Pennsylvania’s 153rd Legislative District. She brings with her nearly three decades of experience as a lawyer, writer and teacher. Within her role as state representative, Madeleine sits on several important committees, including Appropriations, Judiciary, Policy, Ethics, and Finance, of which she is Vice-Chair. Representative Dean is the lead co-sponsor for bipartisan legislation banning all ivory sales in the Keystone state. On May 14, 2013, Steven Michael Fulop was elected the 49th Mayor of Jersey City, New Jersey. Mayor Fulop’s leadership has helped transform Jersey City through policies such as guaranteed paid sick leave, public safety reform, economic growth, and small business protections. 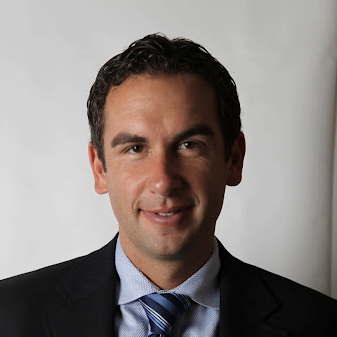 After September 11, 2001, Mayor Fulop served as a Corporal in the Marines, and he has also worked as an investment banker and served on the Jersey City council for 8 years. Under Mayor Fulop’s leadership, Jersey City has become one of the greenest towns in the nation. Rachael Bale reports on wildlife crime and exploitation for Wildlife Watch, a part of National Geographic’s Special Investigations Unit. She writes about poaching, trafficking, the live animal trade, exotic pets, and more. 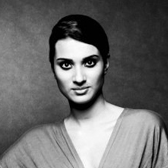 Previously she covered environmental issues for The Center for Investigative Reporting. 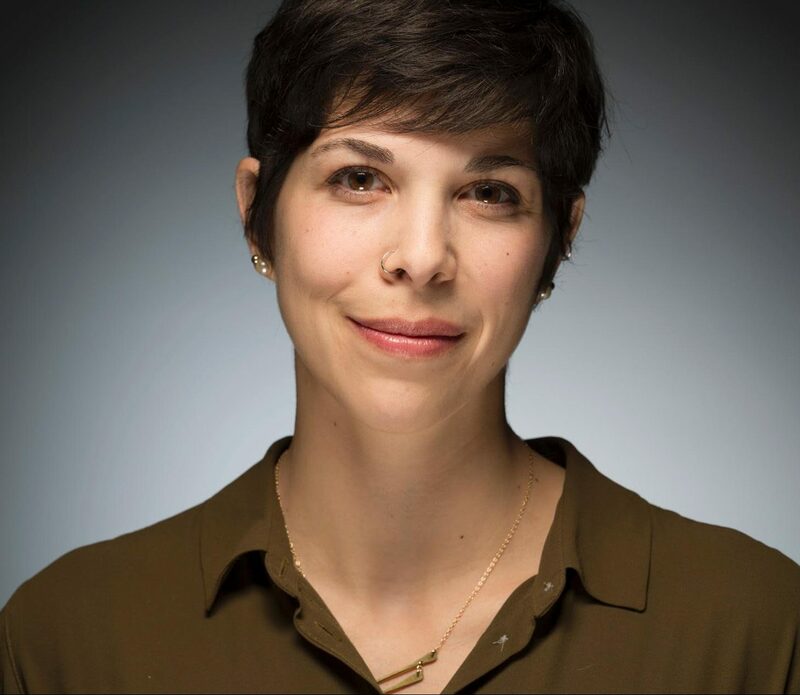 She also has worked for KQED, San Francisco’s public radio station, and the Center for Public Integrity, a nonprofit investigative newsroom. A California native, she has a bachelor’s degree in political science from Reed College and a master’s degree in journalism from American University. A native of Texas, Shannon Elizabeth is a story-teller by profession, an animal lover to the core and a conservationist and activist in the making. The founder of the nonprofit Animal Avengers, Shannon is an actress, director, photographer, and advocate. She starred in the American Pie series, Scary Movie & That 70s Show, among many others. A self-described “creative conservationist,” Asher Jay brings talent, innovation, and artistry to the fight against wildlife trafficking. Her renowned global multimedia art campaigns, including a massive animated Times Square billboard, have garnered international acclaim and changed the way thousands of people look at wildlife and conservation issues. Jay was has been named an Emerging Explorer by the National Geographic, and her stunning artwork features prominently in the promotional materials for the New Jersey Ivory Crush. Kate Brooks began working as a freelance photojournalist in Russia while documenting child abuse in state orphanages. She has worked extensively across the greater Middle East, photographing political turmoil and impact of conflict on civilian populations. 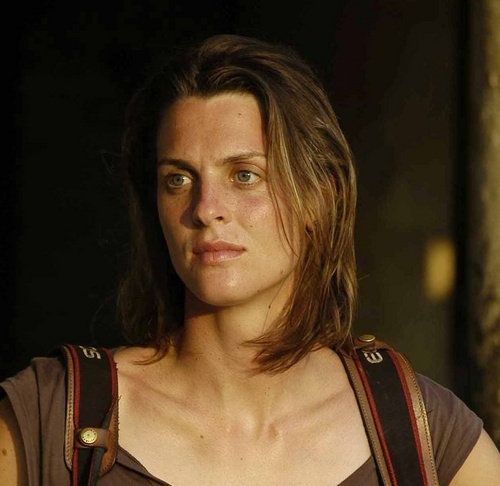 Brooks has been the recipient of numerous international awards, and her photographs have been exhibited in galleries and museums in Europe, the U.A.E and U.S. Brooks is the director of the upcoming documentary, The Last Animals, documenting the wildlife trafficking epidemic worldwide. 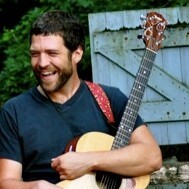 Hailing from Bucks County, Pennsylvania, John Beacher prides himself in being an “adamant singer songwriter, community keystone, and hope enthusiast.” A world traveler and fighter against social injustice, Beacher has performed both solo and with groups, including Elephant Revival. Beacher will be performing his song, “Elephant Call.” To learn more and listen to his music, visit his website at www.johnbeacher.com. 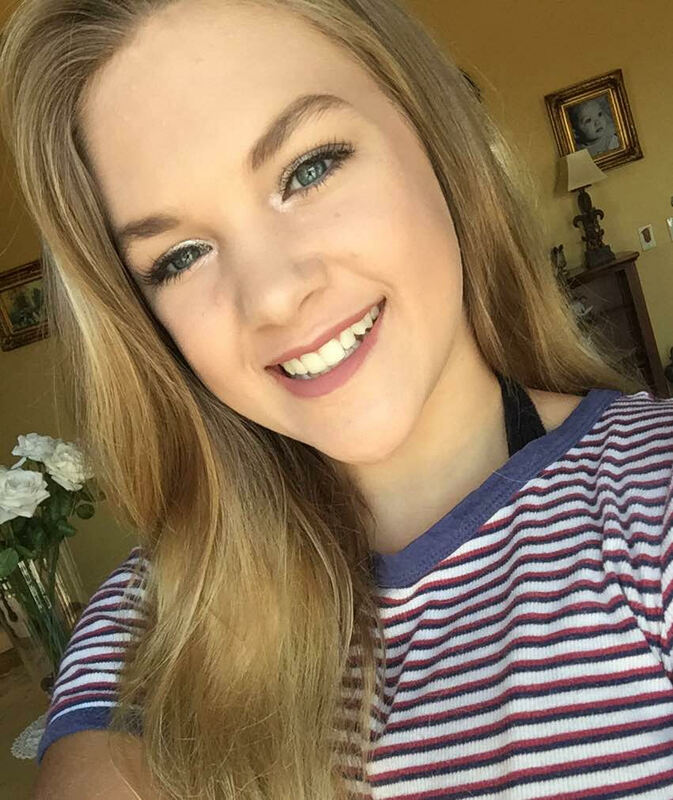 Born in Tucson, Arizona, Abby is a ninth grader who’s full of energy and with a passion for interior design, baking, party planning and theatre. Her career goal is to become a pediatrician. Abby recently spoke at the third annual International March for Elephants in Washington, DC, in October of last year, bringing down the house with her inspiring words about the importance of protecting elephants for future generations. 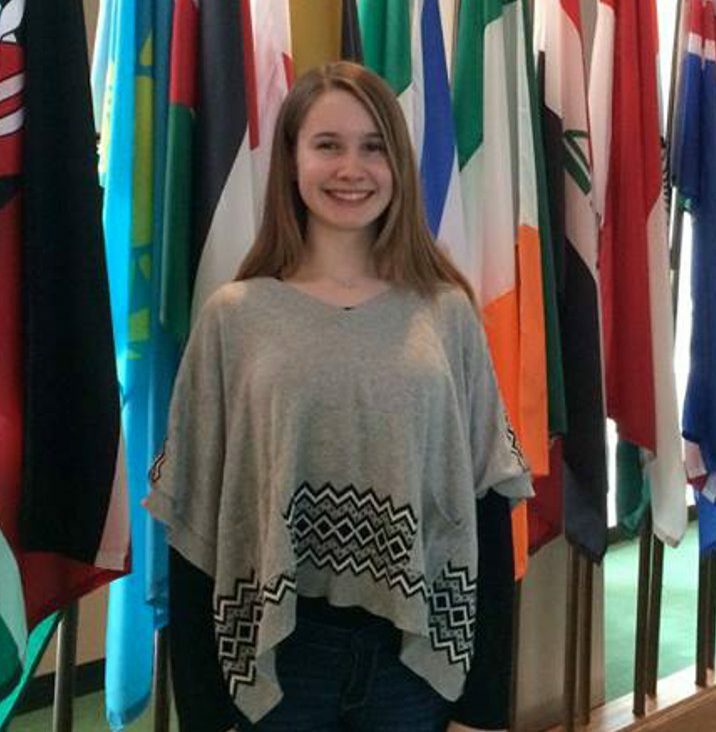 Thirteen-year-old Taegen Yardley of Vermont has made huge waves in the world of animal advocacy, spreading awareness through her project, A World With Elephants: Saving Elephants One Kid at a Time. Teagen was a driving force behind the short film Vermont Battles for Elephants!, organized the Global March for Elephants and Rhinos, and has testified at the Vermont State House in favor of an ivory sales ban in Vermont. Also delivering remarks will be representatives of the sponsoring nonprofit organizations: Jen Samuel, president and founder of Elephants DC, and Kathleen Schatzmann, state council director for The Humane Society of the United States. Pennsylvania citizen Ann Lewis, Elephants DC vice president, will be introducing Rep. Dean. Join Us at the New Jersey Ivory Crush! The New Jersey Ivory Crush will be held at Liberty State Park in Jersey City, New Jersey, with presentations beginning at 11 a.m. For more information about the New Jersey Ivory Crush, including a detailed schedule, please see our press release. We hope you can join us on World Elephant Day! JERSEY CITY, N.J. — August 10, 2016 — Americans are uniting for change alongside New Jersey lawmakers and international government representatives on World Elephant Day, August 12, during the historic New Jersey Ivory Crush at the iconic Liberty State Park in Jersey City, home of Ellis Island and a stone’s throw away from Lady Liberty herself. Today, elephants are being killed faster than they are giving birth. The blood ivory trade is driving elephants and other endangered and threatened species toward extinction — with conservative estimates indicating 35,000 wild elephants are being slaughtered annually — while funding terrorist organizations through profits from illicit poaching and trafficking activities. “New Jersey is going to once again shine a light on wildlife crime,” said Jen Samuel, president of the all-volunteer nonprofit Elephants DC. Elephants DC is cohosting the event with the City of Jersey City. In addition to publicly destroying unwanted ivory products, the New Jersey Ivory Crush will commemorate the Garden State’s contributions and exemplary leadership in protecting endangered species. Keynote remarks will be delivered by State Senator Raymond Lesniak (D-Union) and State Assemblyman Raj Mukherji (D-Jersey City), the authors and champions of the Garden State’s historic ban on ivory and rhino horn commerce, which remains the strongest and only comprehensive intrastate ivory sales ban in the United States. In 2014, New Jersey became the first state in the U.S. to pass a comprehensive ban on the commercial domestic sale of ivory and rhino horn. Senator Lesniak and Assemblyman Mukherji — two tireless animal welfare advocates — led New Jersey to do its part to protect this majestic species while strengthening national security. More recently, President Obama’s administration recently enacted a “near total” ivory and rhino horn import and export sales and interstate commerce ban and credited New Jersey and state-by-state efforts for driving these changes to federal rules. The New Jersey Ivory Crush will be the first public ivory crush event in which the public is invited to bring ivory to be crushed. The U.S. Fish & Wildlife Service has hosted two ivory crushes since 2013 (one in New York City and one in Colorado). Around the world, ivory crushes have been held in Italy, the Philippines, China, Hong Kong, Gabon, France, Sri Lanka and elsewhere. At approximately noon on August 12, the ivory crush will initiate with distinguished and honored guests bringing ivory to the crusher for destruction. Vegan vendors will be on site as will drummers and information tables from various organizations across the state. The New Jersey Ivory Crush is free and open to the public. Guests are invited to arrive as early as 10 a.m. and bring unwanted ivory to be crushed in a symbolic gesture to declare our freedom from the ivory trade. The Humane Society of the United States joins Elephants DC as event sponsor of the New Jersey Ivory Crush. Convention on International Trade in Endangered Species of Wild Fauna and Flora (CITES) to enact a complete and total global ban on the sale of ivory at their upcoming meeting in Johannesburg, South Africa. Elephants DC is dedicated to ending the ivory trade worldwide while advancing elephant well-being. As an all-volunteer nonprofit, we support elephants through advocacy, education, and field support to protect critical species from extinction. Elephants DC is next heading to Gabon to support the earth’s largest remaining population of forest elephants. For more information, visit http://www.elephantsdc.org, contact audreazuolas@elephantsdc.org or call 484-868-8405. Connect on social media via www.facebook.com/elephantsdc and www.twitter.com/elephantsdc. At a time when elephants are being killed faster than they’re being born, it’s vital that ordinary citizens step up and do their part to make a difference wherever and however possible. Here at Elephants DC, we believe it’s important to “be the change” we want to see, and that starts in our own community. That’s why, in June, a group of Elephants DC volunteers and DC residents went to the Council of the District of Columbia to encourage the Committee on the Judiciary to hold a hearing for Elephant Ivory and Rhinoceros Horn Trafficking Prohibition Act of 2015 (B21-0251). The measure, which would end the District’s role in the brutal ivory trade by restricting ivory and rhino horn sales, has been sitting in committee for more than one year. Councilmember Mary Cheh introduced it on June 16, 2015, and yet it still has not come up for a vote. It’s time for that to change, because elephants don’t have a lot of time left. We visited the offices of all five councilmembers on the committee — Kenyan McDuffie, Jack Evans, Mary Cheh, LaRuby May, and Anita Bonds — as well as the office of Mayor Muriel Bowser to hand-deliver a memo. We spoke to the councilmembers’ staff about why the measure — which prohibits the import, sale, purchase, barter, or possession with intent to sell ivory and rhinoceros horns in DC (with limited exceptions) — should be scheduled for a hearing. We also called for the District’s leadership to help raise raise awareness that elephants and rhinos face impending extinction and that the trade in their body parts is the root cause of this crisis, coupled with vanity and greed. Elephants DC is grateful we had the opportunity to thank Councilmember Cheh in person for introducing this important measure. Cheh is known for being one of the strongest voices for endangered and vulnerable animals in the District. Elephants DC volunteers meet with Councilmember Mary Cheh (center) in June 2016 to thank her for introducing legislation to ban ivory sales in the District. Elephants DC believes that achieving a universal ban on the sale of ivory starts right here in the nation’s capital. There is no excuse for ivory trade, period. Right now there are no regulations at all for those who buy or sell elephant ivory and rhino horn in Washington D.C. That means illegal ivory is openly being sold on the marketplace under the guise of “legality.” With an estimated 35,000 elephants poached annually in Africa, often by terrorist organizations, that is simply unacceptable. The Council’s action on this critical issue would place the District as a leader alongside states such as New Jersey, New York, California, Washington, and Hawaii, who have passed legislation aimed at banning or significantly restricting ivory sales in their domestic markets. These laws are important supplements to the recent federal regulations governing interstate and foreign ivory trade into and out of the United States. More importantly, this measure benefits DC’s citizens, who care about eliminating ties to criminal networks that traffic in wildlife parts, weapons, drugs, and humans. DC’s citizens care about the environment, and don’t want their children to have to watch elephants and rhinos go extinct. The Council should support its citizens by holding a hearing on the ivory and rhino horn sales ban as soon as possible. Without a doubt, citizens of the District of Columbia support saving elephants and keeping DC free of any role in elephant extinction, which is being directly perpetuated through the ivory trade. We — and the elephants — need your support in getting that message across to the Council! Sign and share our online petition. Write — or even better, call — your respective councilmembers and Councilmember McDuffie, chair of the Judiciary Committee, to ask for their support in getting B21-0251 heard at committee. (Click here to find out who represents your ward, and find their contact info and a sample letter you can use here). Join the #IvoryFreeDC team on July 10th in Dupont Circle to learn about our advocacy efforts and get involved. We’re all volunteers, and all are welcome! Be sure to Tweet your support featuring the hashtag: #ivoryfreeDC. Together, we can make a difference! Citizens, take action! Let’s raise our voices for elephants! Elephants DC extends special thanks to writer Stephanie Bento for her work on this article. TRENTON – May 26, 2016 – Today, New Jersey has contributed to the protection of endangered species by implementing a law to regulate in-state activities involving trophies derived from big game kills in Africa and Asia. In a historic win for endangered species, the New Jersey Assembly voted in favor of Governor Chris Christie’s conditional veto requirements of two measures, S-977 and S-978, at 1 p.m. on Thursday. 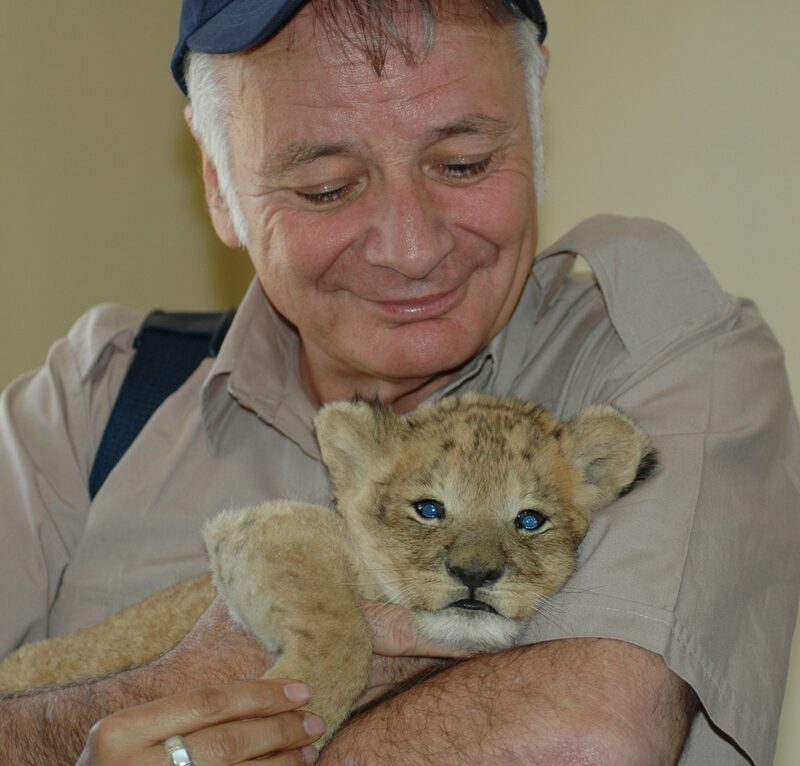 The legislation, sponsored by Sen. Raymond Lesniak (D-Union) and Assemblyman Tim Eustace (D-Bergenfield), sailed through the State House twice since the death of Cecil the Lion caused an international uproar last July. Fourty-five airlines have banned the transportation of endangered species since Cecil’s death. Under the new ban, it will become illegal in the Garden State to import or sell “trophies” from any species or subspecies of elephant, rhinoceros, tiger, lion, leopard, cheetah, pangolin, marine turtle, or ray listed in Appendix I or Appendix II of CITES (an international treaty governing trade in endangered, threatened, and vulnerable species worldwide). On May 2, the governor signed a conditional veto that required the animals being protected were listed in Appendix I or Appendix II of CITES. One result of the conditional veto removed the cape buffalo, considered prey by Big Game hunters as a Big Five “prize.” He also exempted the possession of endangered species “trophies” already in the state. “If these bills are returned to me as I propose, however, we can be confident that the body parts of endangered animals will no longer be welcome in New Jersey,” Governor Christie said. After New Jersey enacted the first comprehensive ivory and rhino horn sales ban in 2014, New York, California and Washington followed suit with similar measures. On Thursday, National Geographic Exploring Artist Asher Jay, world-renowned biologist and ecologist Professor Andrew Dobson of Princeton University, representatives from Elephants DC and The Humane Society of the United States are expected to attend a press conference at the State House. 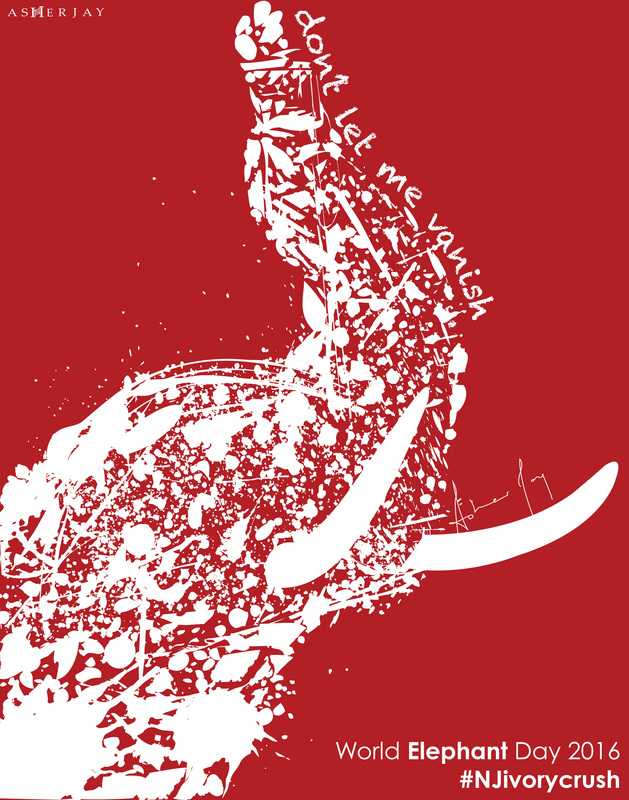 Elephants DC is dedicated to ending the ivory trade worldwide and advancing elephant well-being. For more, visit: www.elephantsdc.org. A bucket full of canes with ivory handles. A pile of bangle bracelets. Scores of carvings — some decadent, some crude. These are just a few of the ivory products that have been up for sale in Maryland in the last year, according to elephant advocate Heidi Osterman. The story of how these items came to be sold in Maryland is a long and bloody one. And as long as they continue to be commercially traded, there’s only one ending: the extinction of elephants. Elephants are now being slaughtered for their tusks faster than they’re being born. These gentle animals face extinction in less than 10 years — all for mere bracelets and trinkets. According to INTERPOL and other experts, more than 35,000 elephants are poached annually in Africa. That’s why lawmakers and advocates are stepping up to speak up for elephants and other endangered species in Maryland. On Wednesday, February 17, the Maryland state House Environment and Transportation Committee will hold a hearing on HB 542, the Wildlife Trafficking Prevention bill, which will seriously restrict the ivory trade in Maryland, along with protecting other species. The hearing will take place at 1 p.m. at the House Office Building in Annapolis, MD. Read on for more information about the measure and how you can support it. Introduced by Delegate Eric Luedtke, the Wildlife Trafficking Prevention bill proposes to ban the sale of most products derived from endangered species, including elephants, rhinos, lions and sea turtles. It’s a huge and important step to getting ivory off of Maryland’s shelves and out of Maryland’s ports for good. Unfortunately, ivory is still widely for sale across Maryland, even though elephants are at risk of soon disappearing from our earth. The Baltimore Antiques Show alone is a hub for countless pieces of ivory to be bought and sold in Maryland — and much of it is currently considered legal. In reality, the legal sale of “antique” ivory is a common and deadly loophole that allows ivory from freshly killed elephants to enter Maryland — and our nation’s — markets. Smugglers often, and easily, disguise and manipulate elephant tusks to make them appear “antique.” And wildlife trafficking experts agree that it can be very difficult and expensive to distinguish between “fresh” and “antique” ivory. In fact, without regulation, nothing is in place to stop wildlife traffickers — turning a $19 billion profit annually — from taking advantage of Maryland citizens who are unaware that they are purchasing ivory from recently slaughtered elephants. Moreover, the United States government has identified the the ivory trade as a key source of revenue for terrorist organizations, including al-Shabaab, the Lord Resistance Army, and Boko Haram, who slaughter elephants in exchange for weapons. Buying and selling ivory, even ivory that appears “antique,” may likely be funding horrific criminal activity. Maryland’s proposed measure follows a nationwide movement to ban ivory and rhino horn sales at the state level. In 2014, New Jersey and New York led the charge to save endangered species by restricting ivory and rhino horn sales. New Jersey became the first state to pass a comprehensive ivory ban. Since then California and Washington have also taken action. Presently, action to regulate the unabated ivory trade is underway in Maryland’s bordering states of Pennsylvania and Delaware. Additionally, the citizen-led movement to ban ivory sales continues in Vermont, Massachusetts, Illinois, Hawaii, and elsewhere. Action to shut down wildlife trafficking in Maryland is particularly important given the Mid-Atlantic state’s abundant waterways and coastlines on the Chesapeake Bay and Atlantic Ocean. “Now that the New York and New Jersey ports are closed, it is very probable that the Port of Baltimore has become the ‘go to’ port for illegal wildlife trafficking,” Osterman warns. Given the strong ties between wildlife trafficking and other illegal activity — including terrorism, human trafficking, and gun smuggling — it is vital that Maryland take action to secure its ports. It’s critical that Marylanders speak out to their legislators to support this measure. As an in-depth Deadspin report showed last year, efforts to ban ivory sales face some powerful opponents, including wealthy antique traders who have joined forces with the NRA. In 2015, these naysayers were able to defeat the citizen-led effort to ban ivory and rhino horn sales in Maryland. Osterman, Ray, and other Maryland advocates urge state residents to contact their representatives and voice their support to end ivory and rhino horn sales. Concerned citizens may also attend the hearing on Wednesday, February 17 in Annapolis, MD. We can’t let the loud voices of a few ivory lovers win. As long as ivory is for sale in Maryland, the state will be playing a role in the extinction of elephants, with only a handful of trinkets to show for it. 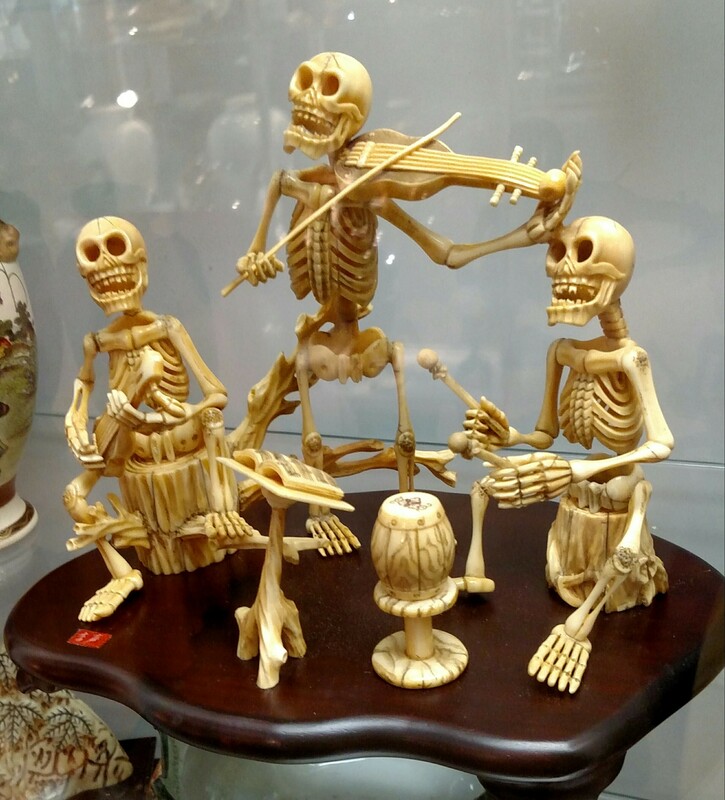 Ivory may once have been a coveted substance, but now it only symbolizes death, greed, and extinction. If you live in Maryland, look up your elected representative and make a quick phone call or send an email telling them you support HB 542. Tell them you support a future world where elephants, rhinos, lions, and other endangered species still thrive. Tell them you support a Maryland that does the right thing, at a time when elephants need it the most. Marylanders, it is up to you to make sure your state will no longer play a role in wildlife trafficking. Take action now! Elephants DC, the Humane Society of the United States (HSUS), and Pennsylvania state lawmakers are working on a bipartisan effort to ban ivory sales in the Keystone State — and they need your support. In the spring of 2015, Elephants DC’s vice president Ann Lewis met with Pennsylvania State Representative Mike Vereb (R — Montgomery County) to discuss a potential ban on ivory in her home state of Pennsylvania. While the federal government has called for tighter restrictions on import, export, and interstate ivory sales, it is up to states to regulate their own domestic markets. Unfortunately, the ivory trade is alive and well in Pennsylvania, as evidenced by the high-profile arrest and prosecution of Victor Gordon in 2012. In 2014, Gordon was sentenced to 30 months in a U.S. prison for smuggling and selling millions of dollars worth of illegal ivory through his Philadelphia storefront. Vereb agreed to draft and sponsor House Bill 1537 — a statewide measure that seeks to criminalize the certain sale, import, purchase, trade, or possession of ivory or rhinoceros horn. “Elephants DC in tandem with HSUS have done a remarkable job in providing information to us — including about activities in other states,” adds Vereb. The groups’ joint efforts paid off. 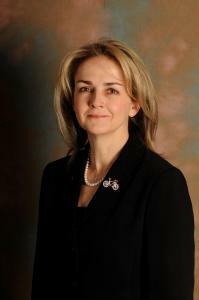 Pennsylvania State Representative Madeleine Dean (D — Montgomery County) became the lead co-sponsor of the measure. Dean was largely encouraged by her brother, Bob — a passionate advocate for the protection of elephants — to take on this cause. “On so many fronts, the ivory trade is a terrible thing going on in our planet,” says Dean. An additional 30 House Democrats and Republicans have since signed on as co-sponsors of the measure. While support appears to be growing across the legislature, the biggest challenge the measure has faced has been simply getting heard in the appropriate committee. After Vereb and Dean introduced the measure in November 2015, it sat in the Consumer Affairs Committee, and in late December, it was re-referred to the Game and Fisheries Committee. On January 27, 2016, the measure was re-directed to the Judiciary Committee. “We will do what it takes to get this bill moving,” Vereb says. But Pennsylvania lawmakers need help from their constituents. Call or email your state representative and ask them to support HB1537. Click here to find your legislator. Contact the Pennsylvania House’s Judiciary Committee members here to ask them to pass HB1537 out of committee. Reach out to organizations and businesses in your community and ask them to write letters of support for HB1537. Never buy or sell ivory. Follow Elephants DC on Twitter and Facebook to learn about calls to action in your home state. You are the key to getting HB1537 passed in the Keystone State!